We met and chatted with what seemed like thousands of Windham Weaponry fans at the recent NRA Show in Houston, Texas. 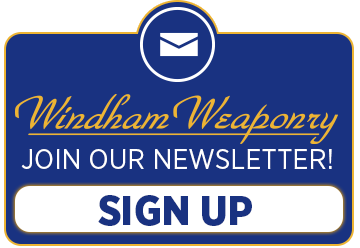 Most everyone who knew the Windham Weaponry story already owned one or more of our rifles, and those that we told of our company’s development seemed to be impressed. Many were already planning their first WW purchase. Of the various adventures we were told about, the most popular use for Windham Weaponry rifles in that part of the country is feral hog hunting. Our Law Enforcement Sales Manager got some firsthand experience with that wild sport and has highlighted that in his section this month. We would like to send a shout out and a big thank you to Marc Renken and his family. Marc lives not far from Houston and is a great Windham Weaponry fan. He kindly brought delicious breakfast goodies to our booth both Saturday and Sunday and then he stayed to help us talk to the crowds. He was a great representative for Windham Weaponry. Help Us Make This Major Marketing Decision! Last month we mentioned that we want you to help decide which new camouflage pattern we pick for our next WINDHAM WEAPONRY VEX-SS rifle. A”Sight Ready Carbine” you can build on! Model: Windham Weaponry SRC (Designation: R16M4FTT) Weight: 6.3 lbs. Caliber: 5.56mm / .223 Rem. First make sure weapon is unloaded! Push in takedown and pivot pins and remove the upper receiver from the lower receiver. Now with the lower on a non-marring surface, take a center punch and a hammer and punch the end plate in the areas shown. That is what the little square cut outs are for in the castle nut, pictured below. We receive a variety of customer service related questions from our customers, and in order to better serve all of you, highlight one question each month. My rifle did not come with the yellow chamber plug/tool. Is it supposed to come with it? We ship all of our rifles with a chamber plug/tool. Once the rifle is test fired, before it goes over to our inspection station and then on to our packing and shipping area, the chamber plug is inserted. Your dealer may have removed it when unpacking the rifle. You can request a replacement by calling us toll free at 1-855-808-1888 or email us at information@windhamweaponry.com with your name, address and serial number on the rifle. We will mail out a replacement for you. I just finished reading through my first WW newsletter. Nice job…! It has the perfect balance of technical information and miscellaneous company news, my hat is off to the publisher. It was also great to read about the featured employee, excellent write up. Overall, perfect job. I look forward to reading the next edition. 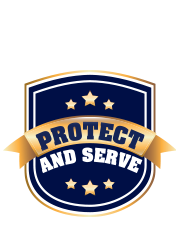 Thanks for all you do and stay safe. Hello Windham Weaponry team, I just wanted to let you know that your team builds a fantastic gun. I recently started shooting about three years ago and got hit with the bug pretty quick. About a year or so ago I bought myself your AR 15 model. I really wasn’t too sure what to expect due to the fact that your company was new and I hadn’t heard much about it yet. But let me tell you, I took it to the range and right off the bat I started hitting the target from 50 yards out. I didn’t then and still have not had one problem with your gun, it shoots true and very smooth with little to no recoil. I just want to say thank you for building such a great gun. In response to our error in the last newsletter – thank you, Dan, for the good humor. AHhaha..LOL…I have those Senior Moments on an hourly basis!! Hi, I just wanted to say that I recently purchased one of your SRC carbines. I filled my warranty papers out online. I just purchased one of your varmint exterminators. I should receive it in a couple of days. I’m new to the AR market and the story that came out I believe in “Shotgun News ” last year sold me on Windham Weaponry, where Mr. Dyke started the factory back up and put you guys back to work. The way I see it, if he cared enough to go out of his way to help his former employees, he cares about quality. I’ve shot my SRC carbine approximately 50 times. The scope I put on it is at least 30 years old and not one of the “premium” brands. I was well pleased with the groups. Around 1-1/2″ with some cheap ammunition. The carbine will probably shoot a lot better using better ammunition and me taking a little bit more time and using a rest instead of a wooden crate. I e-mailed Cheryl Eliason and told her how impressed I was when I read about your comeback. it is a remarkable story and one this country needs more of. She responded, thanking me for my comments and how excited everyone was, and how thankful everyone was to Mr. Dyke. Again, thank you Windham Weaponry . PRICE: $ 28.95 Buy It Now! The fastest, most comfortable method of loading the AR-15 and M-16 .223 Rem. / 5.56mm NATO mil. spec. magazine available, the LULA Magazine Loader and Unloader is a mil. spec. tool molded of polymer and manufactured by Maglula Ltd. to Israel military specifications. The toggle lever on top engages the mag follower, so rounds slide in and out effortlessly – no finger or mag abuse. Slips on and off your magazine with ease. Works with U.S. mil. spec. steel or aluminum body magazines including OrLite, Thermold, C-mag (not compatible with Beta-C-mag), and MagPul PMAG. If I were to say the month of May was AMAZING I think it would be an understatement. I’m not quite sure where to start so I will just dive right in. I traveled to Texas for the NRA show in the month of May, but not before making a pit stop along the way. The NRA show was on May 3rd, 4th and 5th so I made a decision to celebrate the 1 year anniversary of the Law Enforcement sales department by visiting the first individual officer that made a purchase from WW. I first met Gary Smejkal in April of 2012 as he was the first individual officer to purchase a rifle from me. Along the way, Gary and I struck up a great friendship through emails. Gary had shared his experiences of hunting hogs with me and being a hunter myself I was just amazed by them. I soon was able to get myself invited on a hunt and we fast forward to Monday April 29th 2013. So I traveled to Victoria, Texas with my 18 year old son, Christian, to meet with Gary Smejkal and his very beautiful wife Tanya. I have heard of Southern hospitality, but I personally had never experienced it until now. The hospitality was just amazing. The Smejkals brought us into their home for two amazing days. We ate like kings, had our own private room and even had full laundry service (well my son did any way). It was just an amazing experience and we hadn’t even hunted yet. I shipped 2 rifles down to Texas to hunt with, both were the basic CDI platform with a few additions. My son hunted with the EoTech EXPS2, G33 STS 3 power magnifier and the 2124 night vision and the suppressor by Smith Enterprise. My rifle was also the CDI with the Artemis Meostar R1 MeoPro from Meopta. Both rifles were just amazing as we were shooting a 5.56 62 grain hollow point by Hornady. I have to say the rifles and ammo performed just perfectly as we were able to take 9 hogs in 2 days and scar many more with a few close calls. I want to thank the Smejkal’s for their incredible hospitality and the hunt of a lifetime, Ron at Pestilli & Associates for the use of the EoTech 2124 Night Vision, Cory Rath for the Hornady ammo, Dave at DNA Weaponry in PA and Tim Locker for the additional ammo, Gary’s cousin, Jimmy, for allowing us to hunt on his farmland and the guys that brought the dogs in for us to hunt with. Bob joined Windham Weaponry in March 2012, returning to the Quality Control team he had been a part of with Bushmaster from March 2006 until their closure in April 2011. Bob performs a variety of duties as part of QC, from inspection to grinding. He is grateful to be part of such a great company and takes great pride in his work and always has a positive attitude. Outside of Windham Weaponry, Bob enjoys spending time with his family, including his daughter and 3 nephews, loves the Boston Red Sox, fishing and being outdoors. We regularly respond to questions and topics on this informative website.